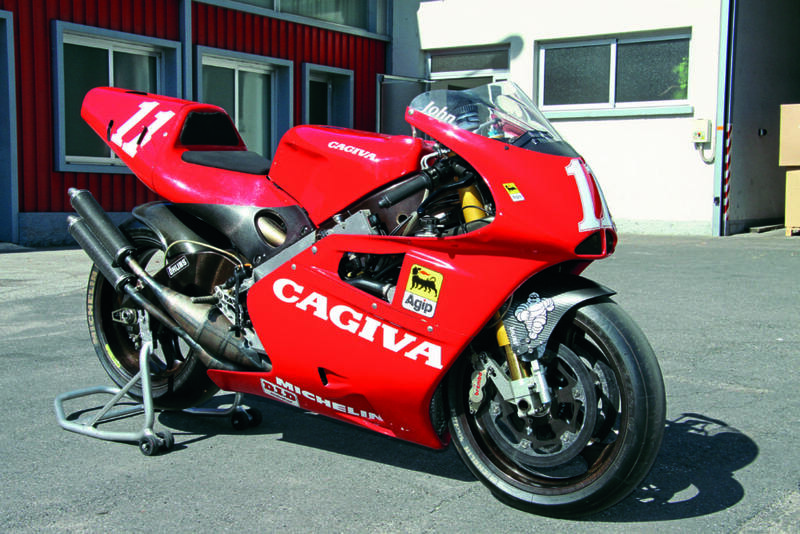 For the first time in Cagiva’s 40-year history, 11 of its red racers will be displayed in one place– the Carole Nash Classic Motorcycle Mechanics Show, held in Stafford on October 13-14. 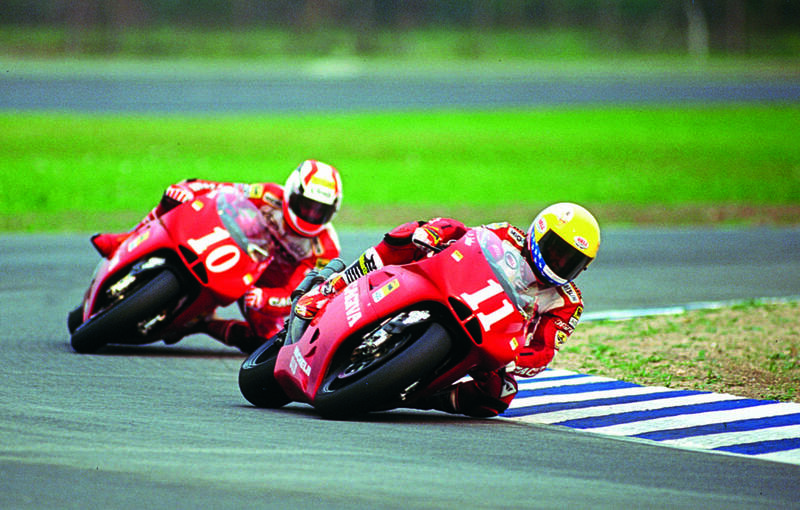 The machines are part of the collection owned by Dean Simpkins and his father Martyn and are all genuine factory racers, ridden by some of Grand Prix racing’s greatest riders, including the Eddie Lawson and John Kocinski 500cc race-winning bikes. The collection is so extensive that it’s never been seen in public before. Not even at the Cagiva factory itself! In addition to the machines on display, there will also be two former factory riders, Jon Ekerold and Pier Paolo Bianchi on hand to meet fans throughout the show weekend. South African Ekerold won the 1980 350cc World Championship on a privateer Bimota Yamaha against the might of the Kawasaki factory team and their ace rider Anton Mang. An old school all-rounder Jon also won the Ulster Grand Prix and finished runner-up in the Isle of Man TT twice. 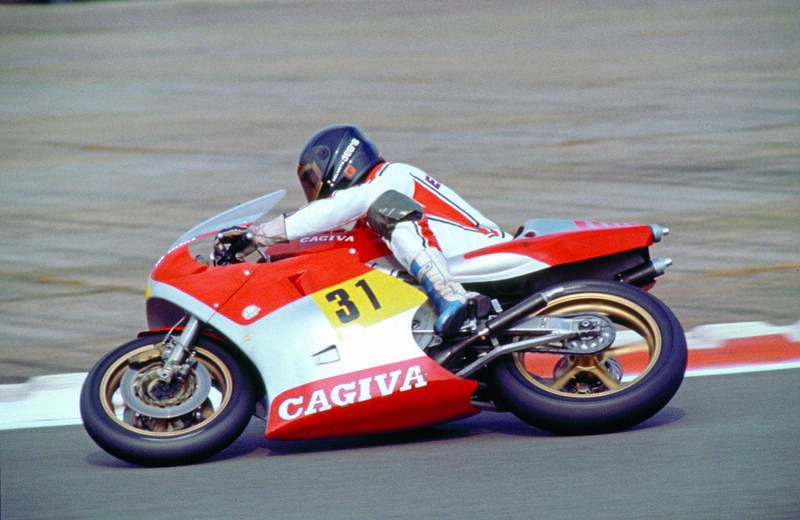 Ekerold was also a factory Cagiva rider in 1982 and the machine he rode forms part of the exclusive Stafford display. Bianchi is a three-time World Champion, winning the FIM World title in the 125cc class in 1976 and 77, and for the third time in 1980. 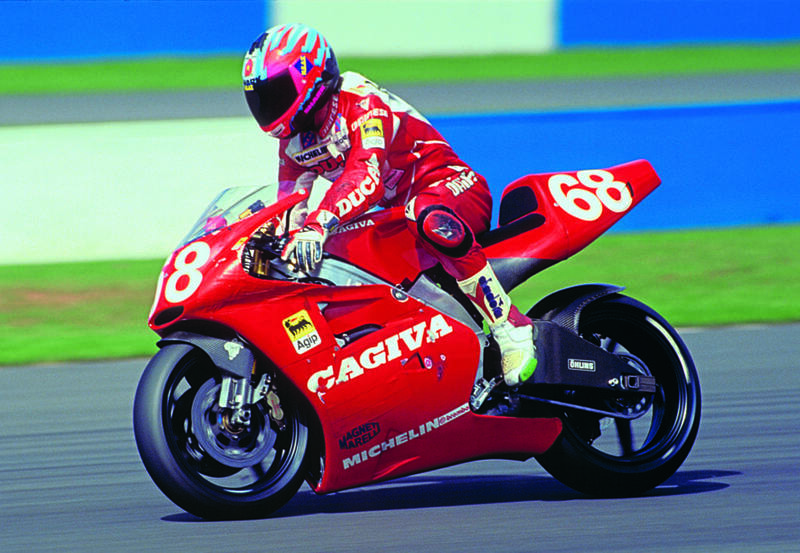 He was a factory rider for Cagiva in 1988 and the machine he raced is also part of the display. 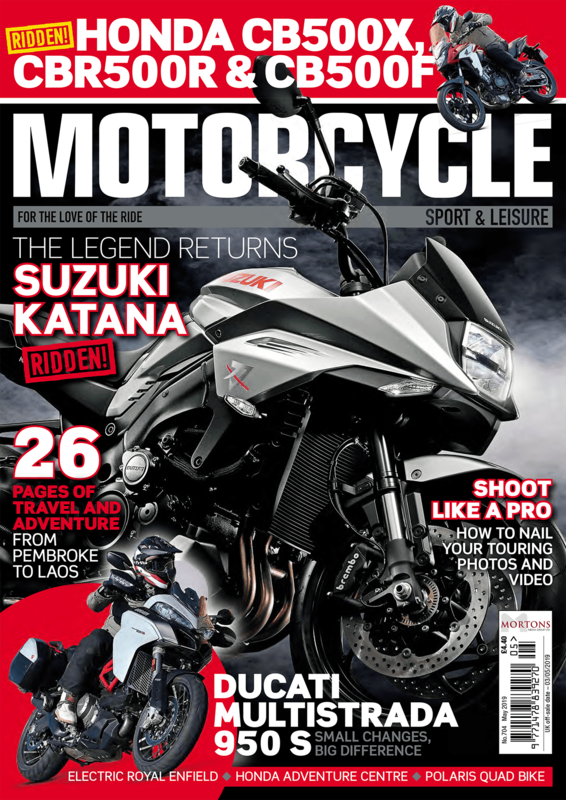 Bianchi and Ekerold will be interviewed on stage throughout the weekend by compere Steve Plater, alongside the show’s third guest of honour, racing legend Terry Rymer. The Carole Nash Classic Motorcycle Mechanics Show at Stafford is the biggest classic bike show in the world of its kind.